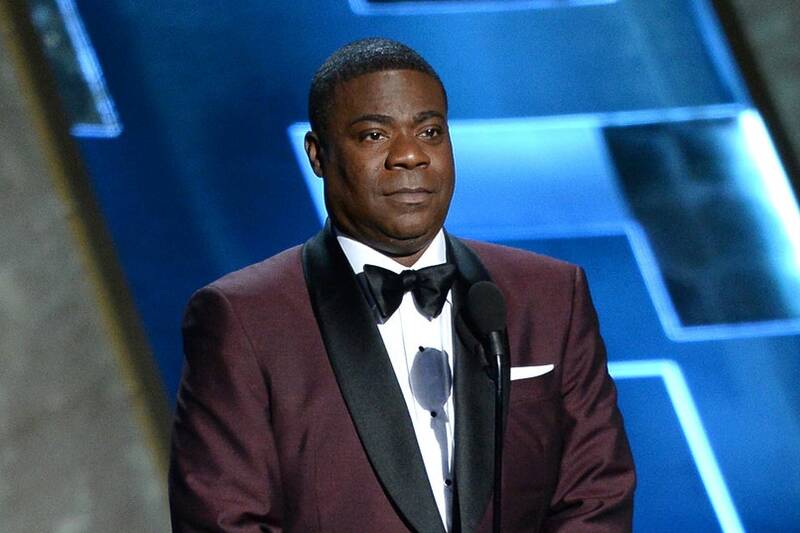 At last year’s Emmy Awards, Jimmy Kimmel promised the audience that Tracy Morgan would be back onstage next year, and on Sunday, the ’30 Rock’ star made a triumphant return to the show, presenting the final Emmy of the night. In June 2014, Morgan was involved in a car accident that put him in an 8-day coma, and he has been recovering from a traumatic brain injury ever since. He followed that with: “Only recently I’ve started to feel like myself again so, which means a whole lot of y’all women are gonna get pregnant at the after party — it’s going down.” Morgan’s appearance came as a surprise to everyone, especially his ’30 Rock’ co-stars Tina Fey and Jane Krakowski. After his appearance, the comedian told reporters that the experience was overwhelming, and that he waited 15 months. He went on to explain that part of his therapy was seeing TV and seeing his friends, as well as saying, “I’m coming back”.